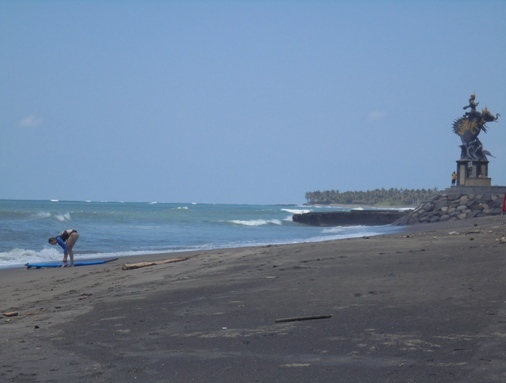 Pererenan Beach offers one of the best surf breaks in Bali and attracts many surfers both locally and internationally for a great surfing experience. This is a great spot with panoramic views to India Ocean, rice fields, coconut trees, rivers, and grayish-black sandy beach. Also great view to Kuta, Jimbaran and even GWK statue in the distance. This spot is situated in Pererenan Village, Mengwi District, Badung Regency, Bali. The beach is tucked away between the Echo Beach (Batu Mejan) and Seseh Beach. This spot is easily accessible by car and less than an hour from Ngurah Rai International Airport. Drive north to Tanah Lot via the Jl. Sunset Road until you hit the Jl. Raya Canggu up to the Jl. Raya Pererenan Tanah Lot. Then continue on the Jl. Pantai Pererenan for 2.7 kilometers (less than 10 minutes). You can park by the beach, rather limited and not yet arranged. A great statue stands on the right, the statue of Gajah Mina, an elephant-headed fish (12 meters high). This is a coastal village and most of the people still work as wetland farmers and fishermen. On the vicinity there is still a fertile rice field. Also the fishing boats leaning on the beach and row of coconut trees on western end. This beach is one of the surfers' favorite spots, less crowded, nice vibe and great view. The spot provides a big and powerful wave; best surfed on mid to high waves. There are two surf breaks, the River Mouth and the Left. Take care from sea urchins, rips and rock along the shore. 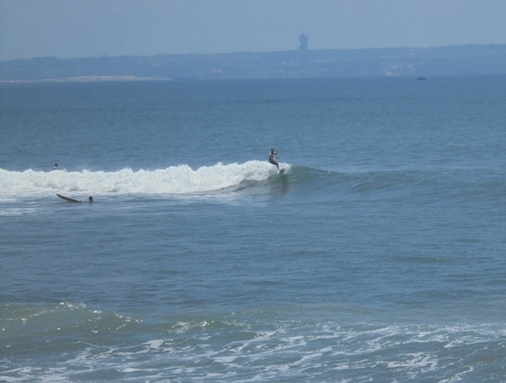 The best time to surf here is during the dry season, from May to October. 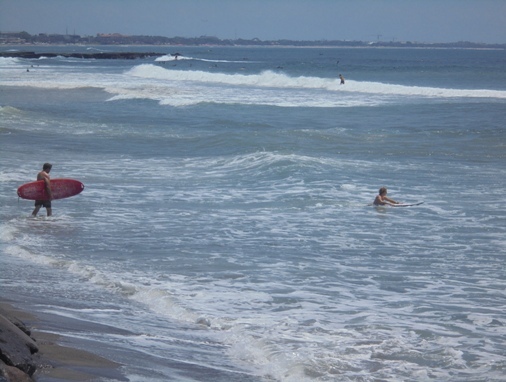 This beach has been the surfer’s heaven and can be crowded when the surf is working. This surf point is recommended for advance up to professional surfers. This spot is located on the West Coast of Bali. 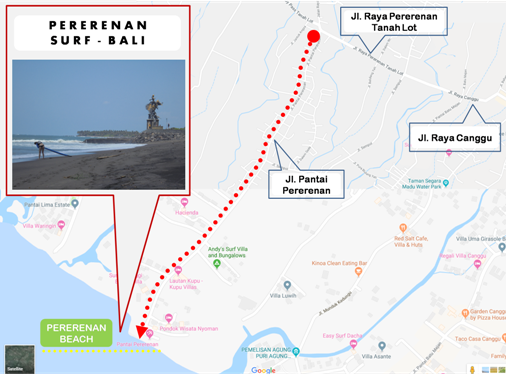 This is just a short walk to other famous surf spots such as: Echo Beach (Batu Mejan), Old Mans Beach, and Batu Bolong Beach. The beach is also blessed with a stunning sunset and creates a relaxing vibe and romantic atmosphere along the coast. There is resort on the beach that provides an upstairs bar, nice for chilling, observe the waves, watching the surfers or lying back and enjoy the view and cool sea-breeze. The atmosphere here is quieter, with a slow rhythm of life and friendly local people.